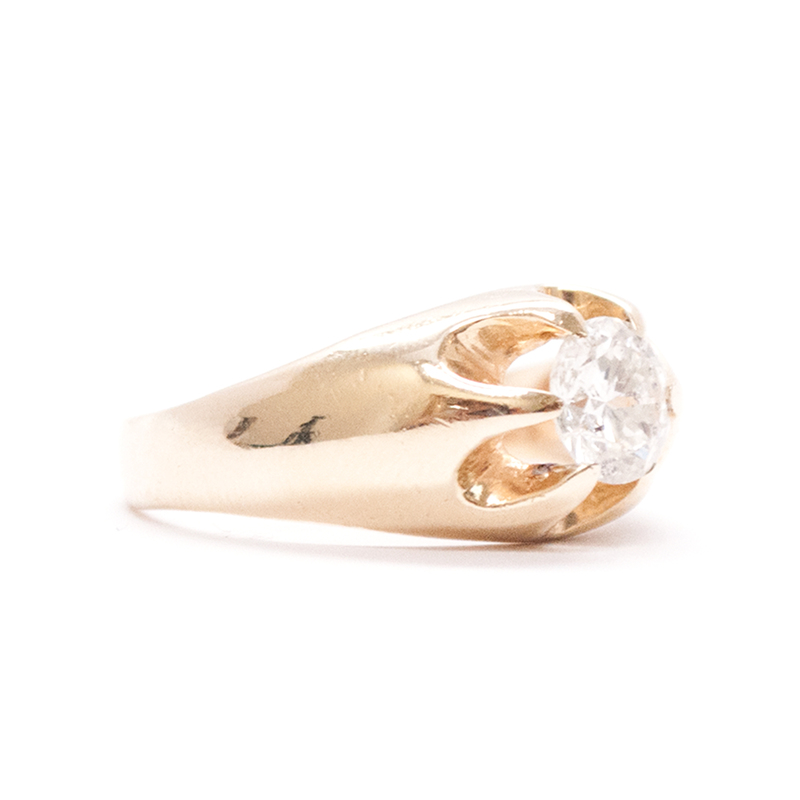 One 14K yellow gold men's combination & cast assembled diamond solitaire ring with a tapered half round shank with a bright polished finish. 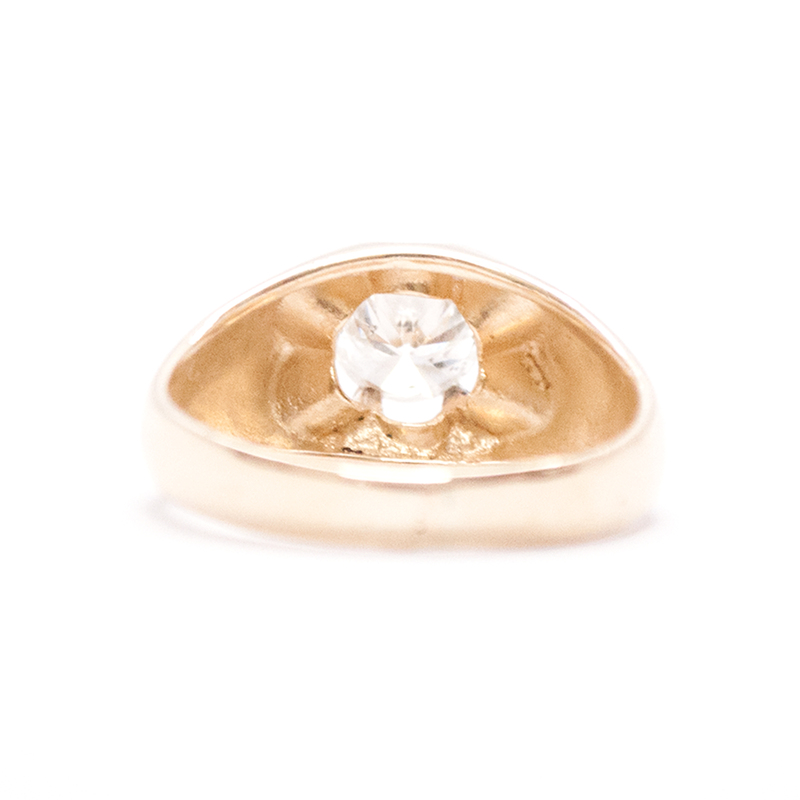 This Classic men's ring measures 11MM wide at the top tapering to 3.3MM at the base of the shank. 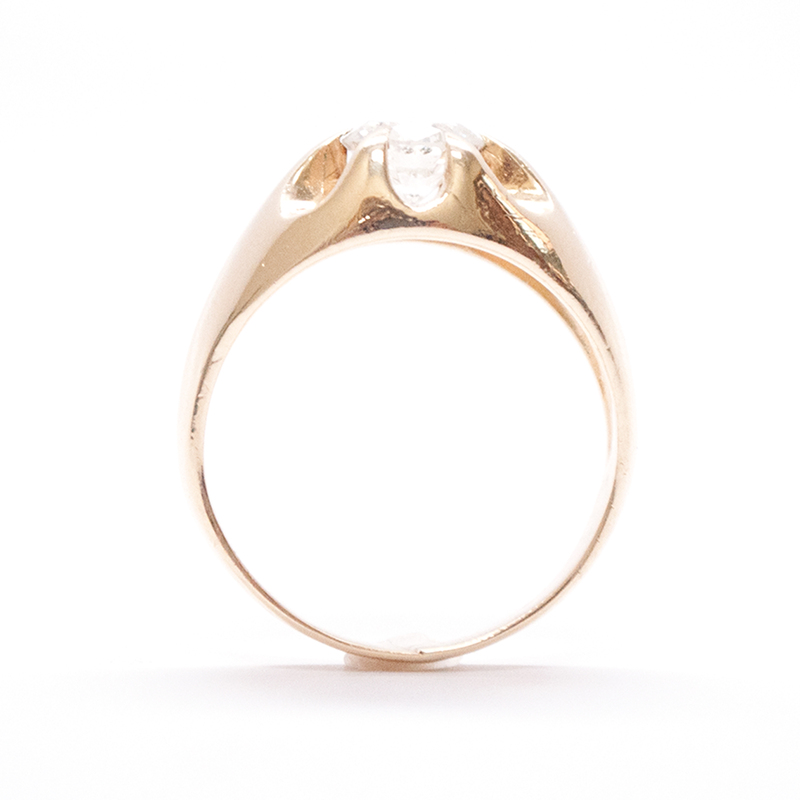 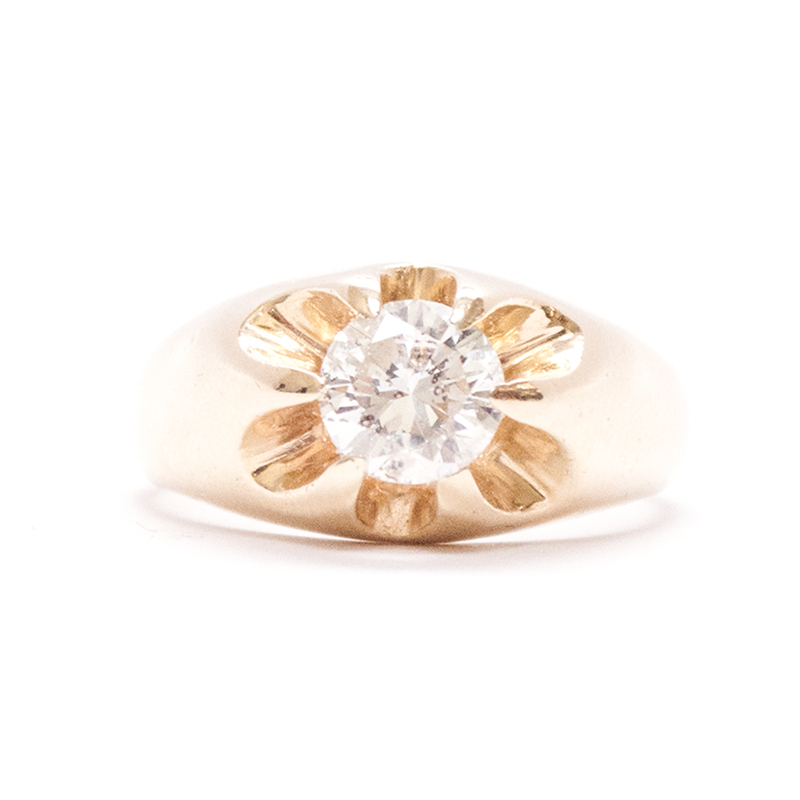 It features a round brilliant cut diamond in a six ring belcher setting.